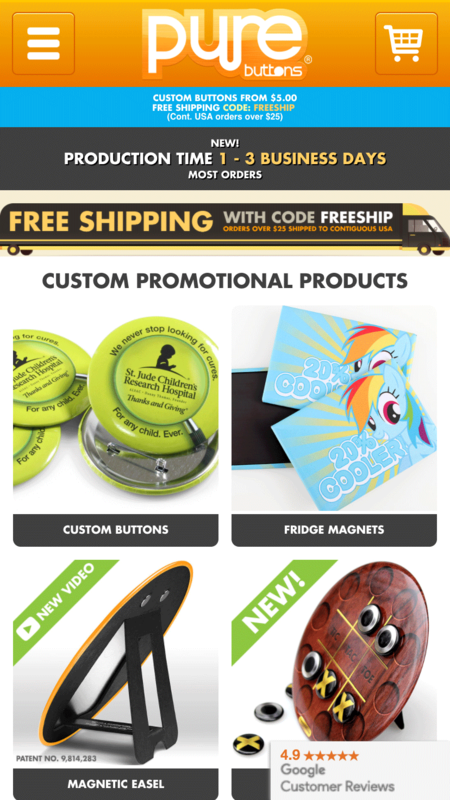 PureButtons is the #1 custom buttons printer in the world. My relationship with Pure Buttons goes back to the early days of its founding in 2005, as I had been providing design services for the original company that Pure Buttons owner, Jeff Nemecek purchased to begin his button empire. Currently I provide all art direction and marketing for the company. Services include web design, programming, print design, illustration, identity & branding, product photography, mailing list management, social network promotions and more. Everything you see, from the visuals to the responsive website layout html/css is crafted by PaleBird in collaboration with Insyte, a Cleveland-area developer who provides their custom e-commerce platform and advanced programming services. 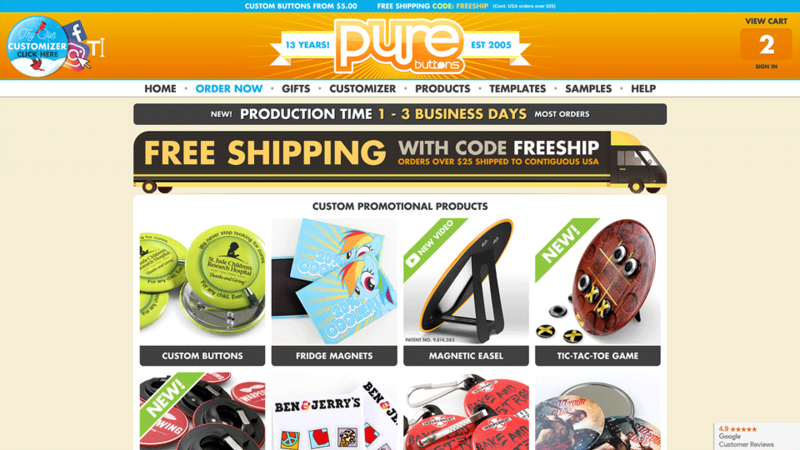 Devilishly handsome e-commerce web design.